Very tastefully furnished one room apartment which meets every wish. Feel comfortable, enjoy and relax, in the apartment SEEBLICK the ideal space for it. With its central location and yet absolutely quiet, it invites you with its SEE- and ALPENBLICK to linger. An ideal starting point for excursions and activities of all kinds. Everything necessary like baker, restaurant, groceries, butcher, etc. are only 10 minutes away. Wonderful ambience thanks to the light gray painted floor, flowing fabrics on the curtains and light and visibility on the sides. Everything is light, friendly and harmonious. The apartment has a total size of approximately 30sqm. The Lindau city bus, the public transport in Lindau departs at the stop Motzach. This is a 10 minute walk from the apartment. The apartment has its own car parking space, which is available directly in front of the house. Additionally there is a ground floor bike room. Clean, comfortable, and quiet—with a wonderful view! Very clean and comfortable. Quiet location in the hills above Lindau surrounded by orchards and fields and located on a Nordic walking track. Lovely view of the lake. Washing machine available, but they charge extra for WiFi. Mir hat es sehr gut gefallen. Das Apartment ist anschpechend eingerichtet, hell und freundlich. Es ist wunderbar ruhig hier und der Blick auf den See ist das Sahnehäubchen. Eine sehr schöne gemütliche FeWo wo wir uns und auch unser Hund sehr wohlgefühlt haben . Und der Blick auf den See lässt uns den Kurzurlaub in meiner Heimatstadt so richtig genießen genau das richtige zum erholen!! Das Apartment ist gut geeignet für zwei Personen. Es hat einen tollen Blick und die Lage ist gut. Es gibt genügend Auslauf für den Hund. Ich habe den Aufenthalt in diesem wunderschönen, stilvoll eingerichteten, gemütlichen und sauberen Appartment sehr genossen. Die Lage ist ideal für Ruhesuchenende. Einzig fehlen in der Ausstattung Müslischalen und Wassergläser. Der Blick vom Panoramafenster auf den Bodensee ist sensationell. Der Gastgeber und seine Mitarbeiterin sind sehr freundlich. Ich empfehle die Unterkunft gerne weiter. 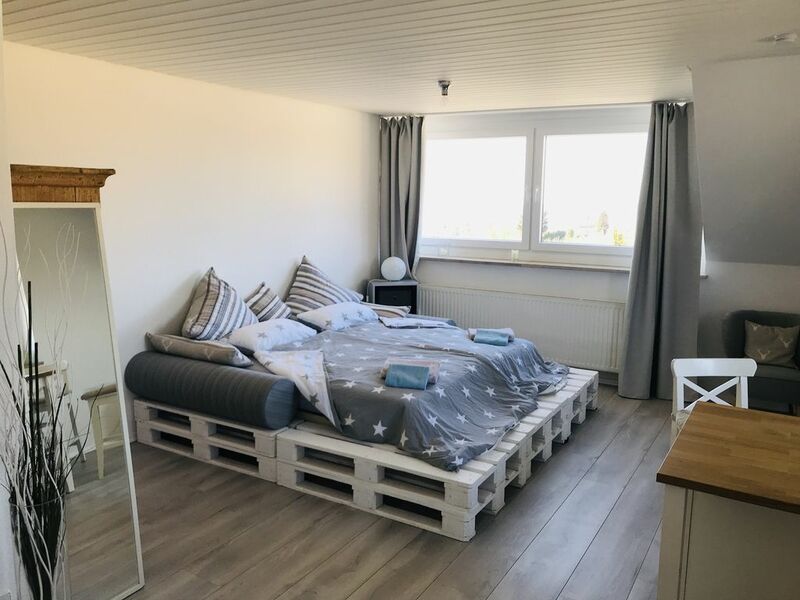 Ein sehr schönes Zimmer und für zwei Personen perfekt. Die Lage ist traumhaft. Fantastic location, centrally located but still in absolutely quiet area. Enjoy the day with the SEEBLICK. The ideal starting point for various activities around Lake Constance. Lake and mountain panorama from breakfast table to sunset over the lake!